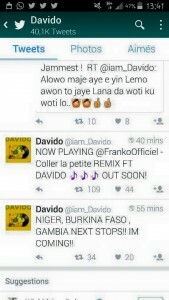 Following the remarkable buzz surrounding Franko‘s monster hit song “Coller la petite”, attaining a historic 3,000,000 views in 2 months, Nigerian superstar Davido has been a victim of the virus. 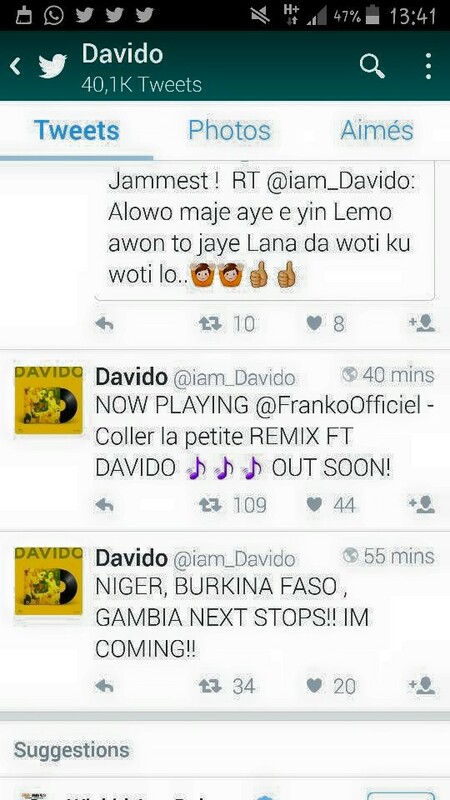 He mentioned on Twitter that the remix of “Coller la petite” featuring him shall be out soon . This is good news to get Franko beaming with smiles as a featuring with an African A-list act like Davido will expand his market tremendously across the world.